^ a b c d e f g h i j k l m Kogan, Herman (1958). 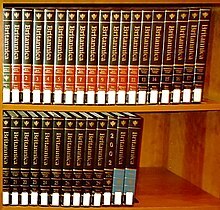 The Great EB: The Story of the Encyclopædia Britannica. Chicago: シカゴ大学出版局. LCCN 588379. ^ Lawrence S., Giles C. (1999). “Accessibility of information on the web”. Nature 400 (6740): 107–9. Bibcode 1999Natur.400..107L. doi:10.1038/21987. PMID 10428673. http://www.nature.com/nature/journal/v400/n6740/abs/400107a0.html. ^ a b Giles, J. (2005). “Internet encyclopaedias go head to head”. Nature 438 (7070): 900–1. Bibcode 2005Natur.438..900G. doi:10.1038/438900a. PMID 16355180. Kogan, Herman (1958). The Great EB: The Story of the Encyclopædia Britannica. Chicago: University of Chicago Press. 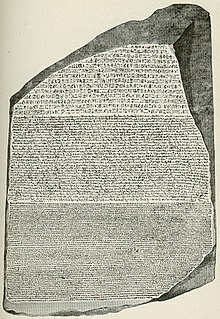 LCCN 588379.